Mount Pleasant Physicians.com, find a doctor, and read articles about many health topics, read about doctors and Mount Pleasant health articles. 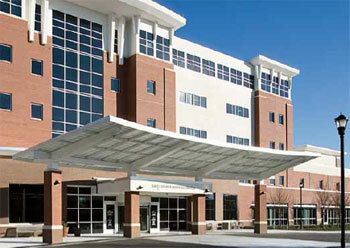 East Cooper Medical Center, part of Tenet South Carolina,is a 130-bed acute care hospital located at 2000 Hospital Drive in Mount Pleasant. Previously located at 1200 Johnnie Dodds Blvd, East Cooper Medical Center has been providing healthcare to the East Cooper community since 1986. We provide a number of services including 24-hour emergency care, women’s and children’s services, diagnostic imaging and interventional services, orthopedics, sports medicine, pain care, adult and pediatric rehabilitation services, wound care services and surgical care, including nationally recognized spine surgery and breast reconstruction surgery. East Cooper Medical Center is accredited by The Joint Commission, the nation’s oldest and largest hospital accreditation agency. The Charleston area in general and Mount Pleasant in particular are drawing interest from people across the United States, those who already are planning to move to the Lowcountry to take a new job or to retire and those who are still thinking about relocating to a region that offers magnificent weather, a beautiful coastline, year-round outdoor activities and a wide array of educational and entertainment opportunities. Regardless of why people from all 50 states and the District of Columbia are at least considering a move to the Lowcountry, they have access to a research tool that can help them complete one of the most important tasks related to relocating to a new town: finding a nearby doctor who has the expertise and experience to meet their family’s medical needs. Mount Pleasant Physicians is a free Internet service that offers information about every physician in the Mount Pleasant area. Copyright © 2019 · Mount Pleasant Physicians, Mt Pleasant, SC. All Rights Reserved.